Why did Google choose Puerto Rico for its modular phones? Google has a radical new idea for a low cost phone. The Spiral is basically an empty shell to which the consumers adds whatever features they want, like WiFi, cameras and speakers, as modular components. The phone will be made available to consumers before the end of this year in a pilot project in Puerto Rico with two wireless carriers there. The Spiral, under development by the Google Project Ara team, is nothing more than a display and proximity sensor with eight empty slots on its back to plug in modules. The consumer attaches the hardware they want. These snap in deftly and are held firmly in place by magnets. So if the user only wants to make phone calls, they plug in a low-cost CPU, and leave it at that. But if they want Bluetooth or WiFi, they add modules containing those chips. Customers can come back later and upgrade too by, say, swapping out one camera for a better one. Or they could add music-quality speakers, more storage and memory, or the next modules that are developed. Twelve engineers are working in Google’s Advanced Technology and Projects (ATAP) group with a host of subcontractors to put the phone together. The engineers have all kind of ideas for their phones. Their snappy YouTube video envisions a night vision camera. But when the company showed the first model, Spiral 1, at a developed conference, it failed to power up. So perhaps the night vision camera will have to wait. The Spiral 2 worked better. More likely than building night vision gear themselves or with contractors, Google is counting on manufacturers to step up to building gadget components like that. The company has published a hardware developer kit and a couple of manufacturers are already experimenting with devices. Google says the cost for the bill of materials (i.e. basic component to make the phone) will be about $50 to $100. But it has not yet named a retail price. The final price is likely to be controlled by the cellular companies because of the systems of cell phone instalment payments used in the United States by wireless carriers. Phones will be distributed in Puerto Rico over the web and via mobile van kiosks that will traverse San Juan and other towns dispensing models with cases that could be printed with a 3D printer to suit the colour scheme preferences of the buyer. Why Puerto Rico? Puerto Rico, home to about 3.5 million people, operates under the same FCC (telecoms regulator) rules as the rest of the United States, because it is a territory of the United States despite being an archipelago in the north-east Caribbean. For example, the FCC would have to sign off on the phone to make sure that the magnets do not interfere with the radio frequency. Also, the island has 4G LTE coverage, in populated areas. 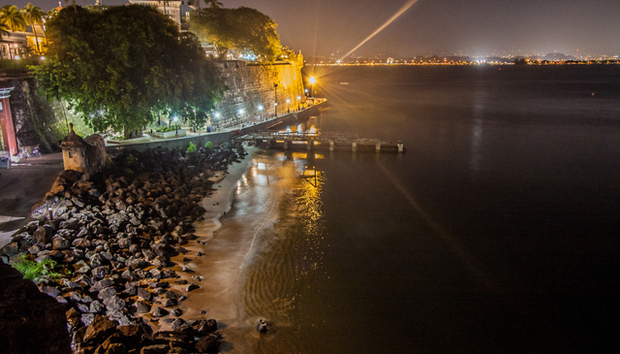 While many parts might be sourced from elsewhere, Puerto Rico is also a manufacturing hub. Forty-six per cent of Puerto Rico’s GDP comes from manufacturing, a good portion of which is electronics even though the bulk is from pharmaceuticals. One reason for that strength in electronics is that for 30 years US manufacturers could repatriate income from products made there to the US tax free. Hewlett-Packard, Micron Technology, Microsoft and General Electric all manufacture there. But the IRS rescinded that rule in 2006. Regarding an educated workforce, Puerto Rico’s business development organisation Pridco points to its high number of engineers trained in Computer Engineering and Electronics Engineering Technology at The Polytechnic University of Puerto Rico. Another reason for Google’s interest is that the cellular operator Claro, one of its pilot partners, operates in Puerto Rico. Claro belongs to America Movil, which belongs to Carlos Slim, whose Mexican telecoms monopoly has made him the world’s second-richest man. Claro operates across much of Latin America and another company, Open Mobile, is another partner for Google’s trial run. Many Americans or international readers might not know much more about Puerto Rico beyond what they saw in the musical West Side Story with its catchy lyrics by —♩ I like to be in America. Ok by me in America. ♬ — and the gorgeous Natalie Wood playing a Puerto Rican. Puerto Rico residents are US citizens, which is one reason there are so many living in New York City, as depicted in the film. Puerto Ricans pay no income tax and they can vote for their choice of President, like America’s other protectorate Guam, buy they have no representation in Congress and Puerto Rico is not a state. Christopher Columbus landed there on his second voyage in 1493 and the island was ruled for 400 years by the Spanish. Much of the old Spanish city still stands, including the San Cristobal Fortress built in 1783 that looms over the harbour. Tourists can tour the castle and peer into its dungeons, which gives some idea of life under colonial rule. Spanish colonial rule was not kind to the Puerto Ricans. They were not allowed to publish their own written works and the Spanish let education languish. Puerto Rico has fared better much under the Americans as the University of Puerto Rico opened in 1903 shortly after the American takeover. Puerto Rico became an American colony in 1898 at the end of the Spanish American war, along with Guam, the Philippines and Cuba. Cuba gained its independence in 1901 and the Philippines in 1946 but Guam and Puerto Rico remain American territories. This pilot project obviously could pave the way for Google or perhaps its manufacturing partners to roll out low-cost smartphones to the billions (Google’s word) of people who do not have them yet because of the price. You could also look at this project as another one of Google’s ideas to spread the internet to places that lack high-speed coverage with devices like internet beamed from airborne balloons, which is another one of its projects.